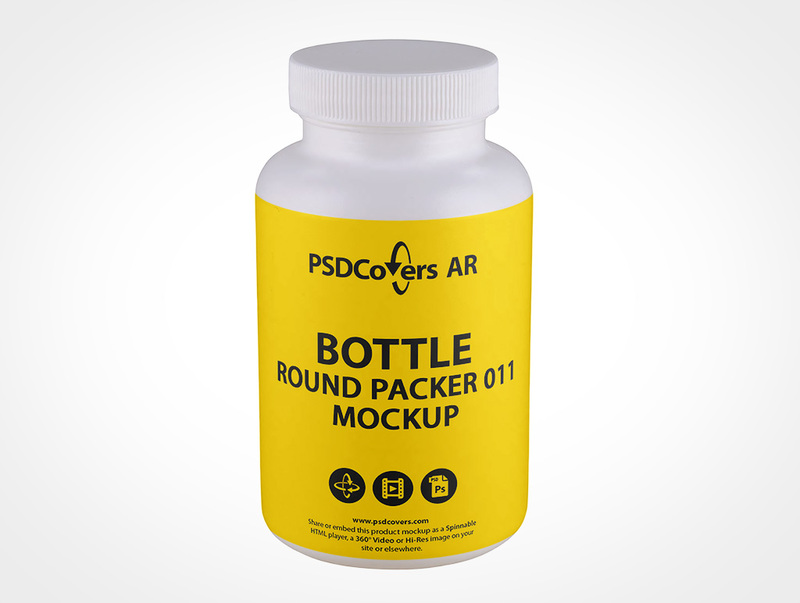 BOTTLE-ROUND-PACKER-011 adds your final 2D presentation around this spinnable straight sided pill bottle. 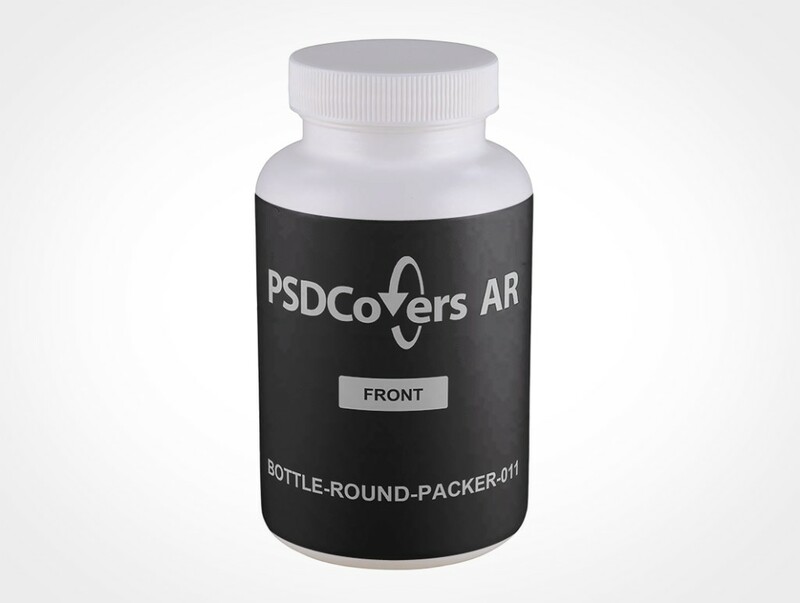 This PSDCovers AR Mockup is assembled 168 pictures with each as a visual of a variable product angle. This product is spinnable when played with our embedable AR player. This straight sided pill bottle packer is made from HDPE plastic (high density polyethylene). Your round packer product design wraps around the straight sides just below the high shoulder. Your design is represented by a product which holds 250mL worth of pills. Additionally, this product stands 112mm high and 61mm wide and features a child resistant cap. Once you launch Photoshop, open PSDCovers and pick from one of 168 existing BOTTLE-ROUND-PACKER-011 product views. You will only have to create a single landscape design to cover the entire surface. 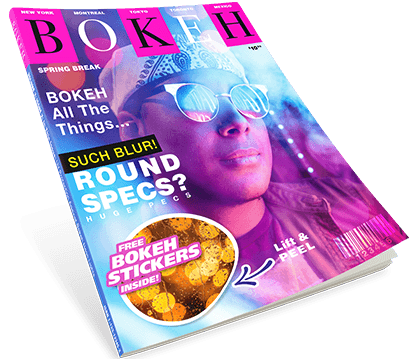 With the completed design open in Photoshop, simply run STEP 2 for this product to render your mockup. Your final design can simulate a sticker print, silk screening, wrap label or spot label. 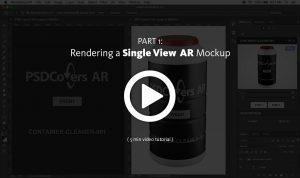 Regardless of which bottle view you select, the finished result is an editable multi-layered mockup. Feel free to edit the fully translucent background scene or select your own or simply modify the colour. Not to mention, replicated product highlights from the photo booth lights are included. Alternatively, you could also render a 360° movie of this straight sided wide mouth packer or as a spinnable AR experience with our embeddable player. Press the Spinnable Sample button above to spin the BOTTLE-ROUND-PACKER-011.